In the 1876 Atlas of Cumberland County, the name "Key" is associated with three different lots. The landowner is listed as "C. Key". The properties are closer to Laurel Lake. Whether this is the same family associated with "Key City" and "Key Sand" is yet to be determined. Local resident Richard Weatherby was familiar with the Millville community that became known as Key City. Weatherby said that his mother, Dorothy Garrison, was one of the residents of the small town that came into existence during the depression. Weatherby said that the foundations of Key City are still there. "A fellow by the name of Key had a sand plant there," said long-time Millville resident Everett Turner. The area that became known as Key City was the neighborhood of tenant houses that Key built for his employees. 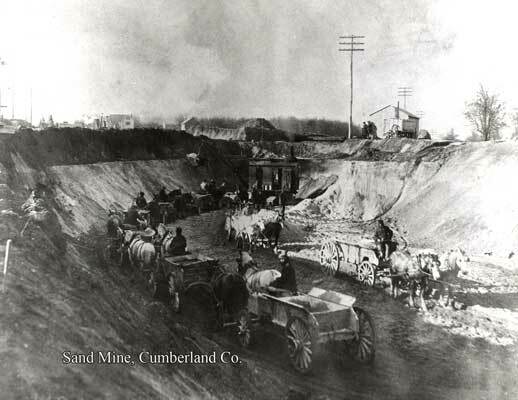 Turner said that Key also built a railroad for his sand mining operation. "Foundry sand" was excavated from the high banks that edged the Maurice River just east of Silver Run Road, just a few reaches below the Jawbone. 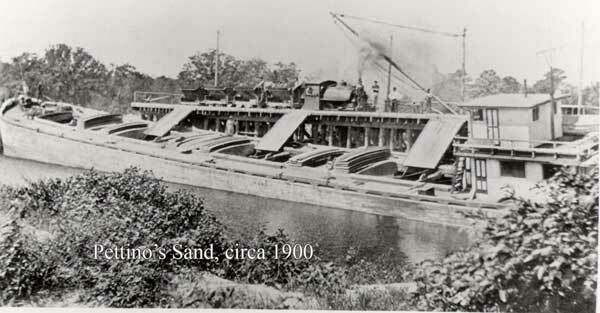 The trains were used to haul the sand back to Key City, where it was processed and loaded. Turner confirmed that the little train crossed Silver Run Road and went all the way to the river. He could still describe the tiers that supported the tracks over the low-lying areas. "Some of them ran about 15 feet high," Turner said. He said that a few remnants of the railroad tracks can still be found. Other sand mining operations took hold in the area. Key eventually sold his business to George Pettinos. Summer resident William Leap spent warm weather months at his cabin at Owl's Cove in the 1960's. The Leap cabin sat up on the bluffs overlooking the Maurice River. Nearby were the remains of the huge concrete columns that supported Key's elevated railroad. 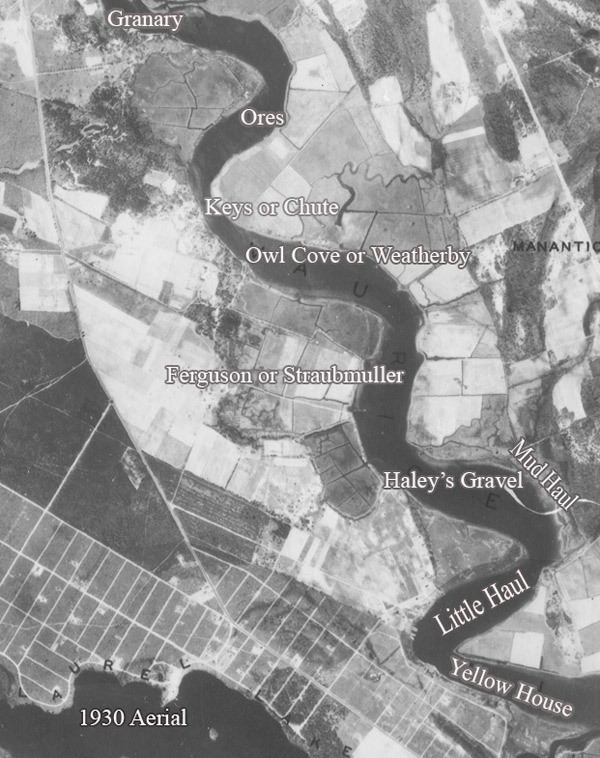 During his ramblings along the western shores of the Maurice River, Leap was able to determine the locations of the landings and wharves that were used to ship sand down river and out to other markets. Leap said that those wharves were built less than 300 feet apart, running from the location of the Cargill Granary to the next reach (#10, Ore's). "Apparently it was easier to build another wharf than to have the men haul the sand too far," said Leap. Without modern technology, manual labor drove the sand operations of the day. Leap said that employees earned 3 cents per cubic yard to dig sand from up on the bluffs and haul the load down to the Maurice River.